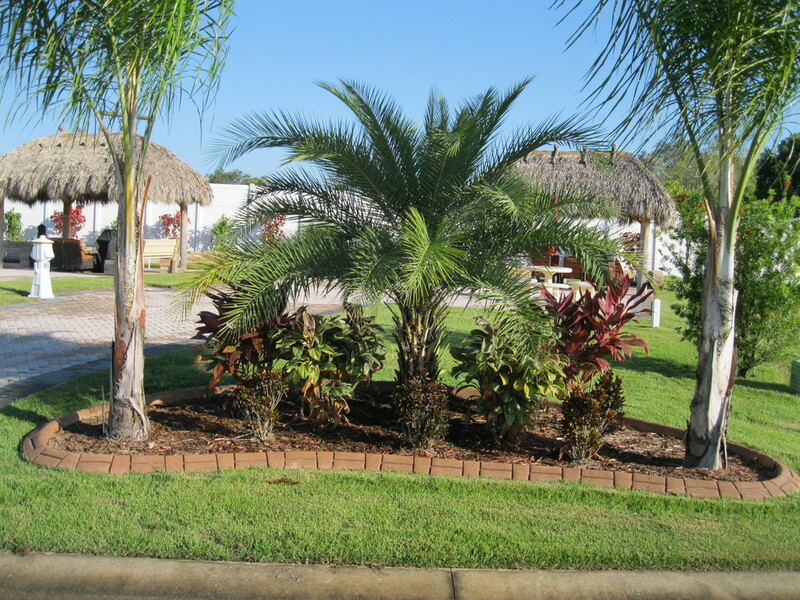 Offered by the owner and located off I-4 at exit 44, these class "A" 55+ oasis and paradise lots are within Bay Lake Motorcoach resort. 2935 and 2939 Wood Duck Drive sit at nearly the highest point in the resort. Views of Lake Mattie, a 1079 acre lake with seaplanes taking off, landing and doing touch and go's added to the Floridian theme. The lots at many times of the day have a gentle breeze and views to capture and remember. 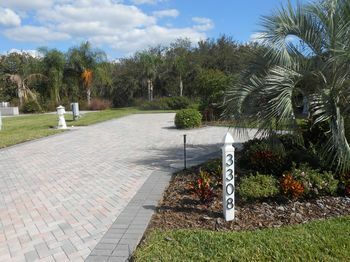 They are 45' x 80' and have over 2050sq feet of pavers. 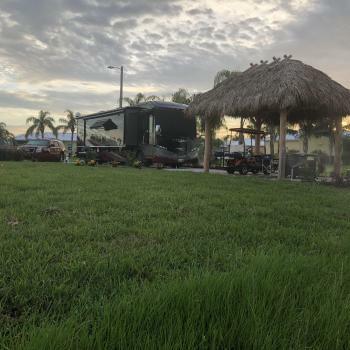 Pull in north orientation (great sat reception) along with a privacy fence and fully planted landscape wall make the viewscape from your coach or the 10' x 15' Tiki Hut a most enjoyable stay. These lots are not in the hustle and bustle area of the resort, but are in a less travelled and quieter perimeter area. 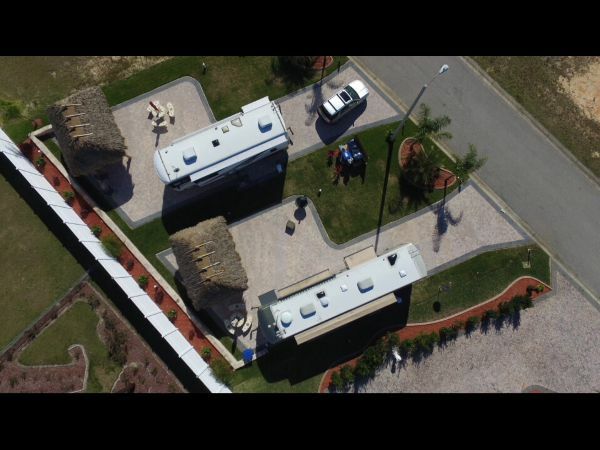 Tiki huts have electric, ceiling fan, dimmable lighting and an outdoor rinse off shower head. 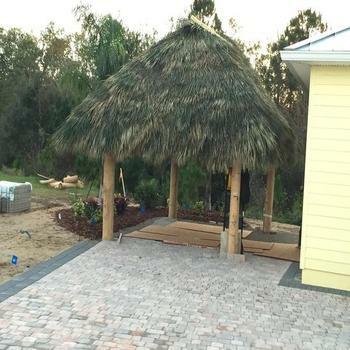 Under the tiki hut enjoy varied seating groups with a table, porch swing and a propane grille ! Moving onto the extended pavers are custom concrete picnic tables, benches and an umbrellas. Lots are full hook up along with your own rubbish and recycle cans and weekly rubbish removal directly from the lots. 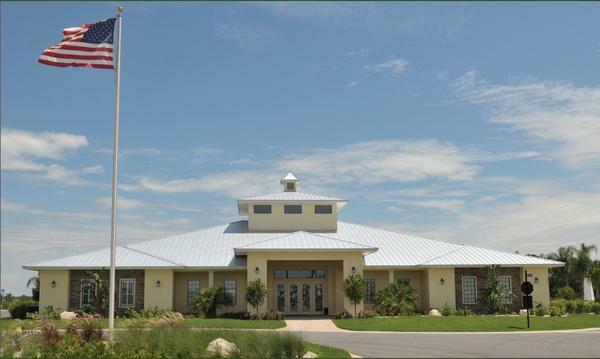 The resort has a fully appointed amenity center featuring a 10,000 sq foot clubhouse. Within find a lend/exchange library, wifi stations, laundry facilities, fitness center, card, table top tennis and billiard rooms. A theatre with tiered seating is also within with scheduled movie nights. If that isn't enough, how about a heated pool, hot tub and outdoor pool deck with exposed and undercover seating. A communal fire pit also is in the deck area. If cycling, walking or running is your thing the private, lighted and paved resort roads will ease your workout. Locally there is also a network of trails about 20+ miles with rest stations. Private onsite mail service is available to long term lessees. ORLANDO, TAMPA / ST PETE are just east and west of the lots within 20 and 40 miles respectively. Visit www.visitcentralflorida.org for more attractions and events. TERMS: rates are quoted in US dollars with funds from a US based banking institution. A lease agreement and addendum is drafted and must be executed for all rentals. NOW TAKING RESERVATIONS FOR 2019 / 2020 SEASON ! *RULES and RESTRICTIONS apply, subject to availability. **Rates reflect multi/consecutive month rental. 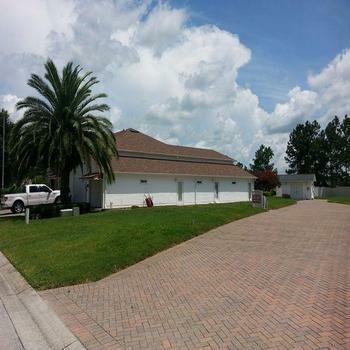 2750 Bay Lake Resort Blvd.